This entry was posted on September 12, 2018 by Marketing. Patch of Land's CMO, Robert Greenberg, is a member of the Forbes Real Estate Council and recently shared his thoughts on new development opportunities for Fix and Flip investors. With a tightening housing supply, and increased demand, what are investors to do? 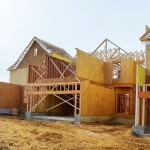 See what Robert has to say on why real estate investors are starting to look at new construction as an alternative to renovating properties. Below is an excerpt from the piece, but read the complete article in Forbes.com! "My company works with fix-and-flip investors every day, and one of the most common challenges we hear from borrowers is the difficulty in finding viable investment properties to purchase. As Reuters reported in early 2018, housing inventory across the U.S. fell for 31 straight months through the close of 2017. And recent forecasts suggest homebuyers will continue to face a tight housing supply throughout the rest of 2018. So, what’s an investor to do? How can you find investment properties in a housing market with limited inventory — where you’re competing not only with buyers looking for a primary residence, but also with other real estate investors? A statistic in that same Reuters report offers a clue to one possible strategy: In December 2017, permits approved for new construction of single-family homes reached their highest level in a decade." This entry was posted in All Projects, Building Wealth, News & Press and tagged new construction, housing supply, real estate development, fix & flip on September 12, 2018 by Marketing.